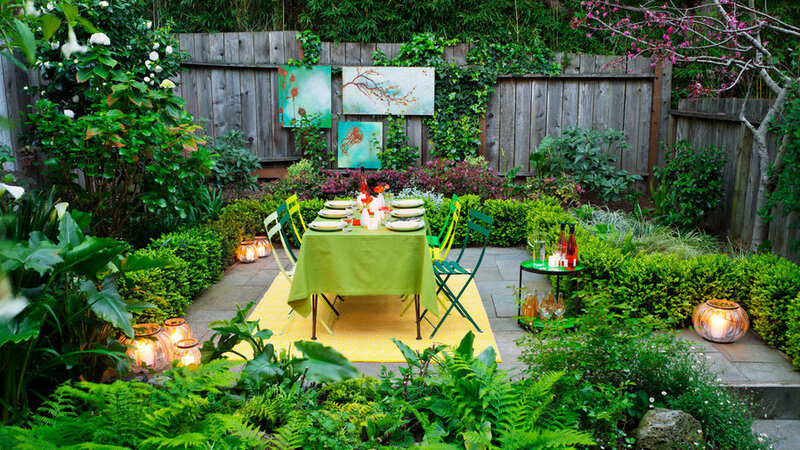 Style expert Caitlin Atkinson says, "The garden is your canvas--paint a warm, inviting picture on it." 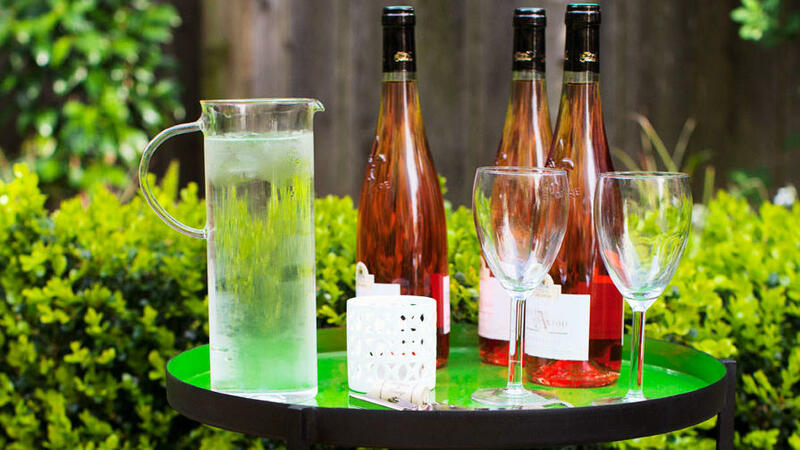 Here are some easy ways to do just that, and get your outdoor space in shape for weekend entertaining. 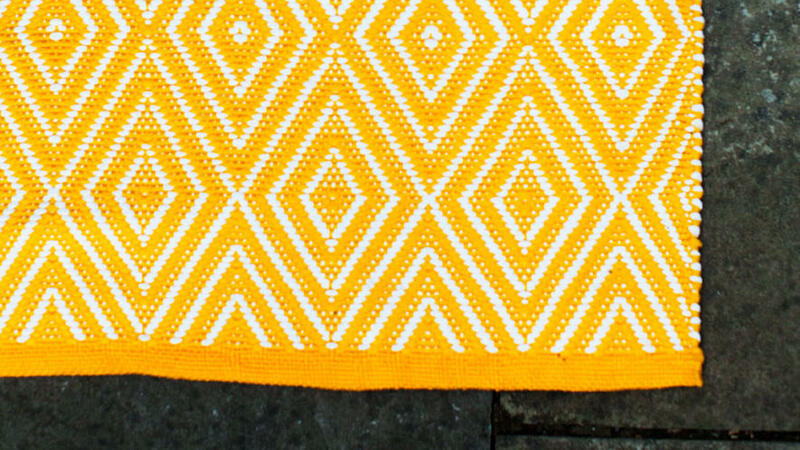 A sunny polypropylene outdoor rug adds instant warmth and defines the party space. 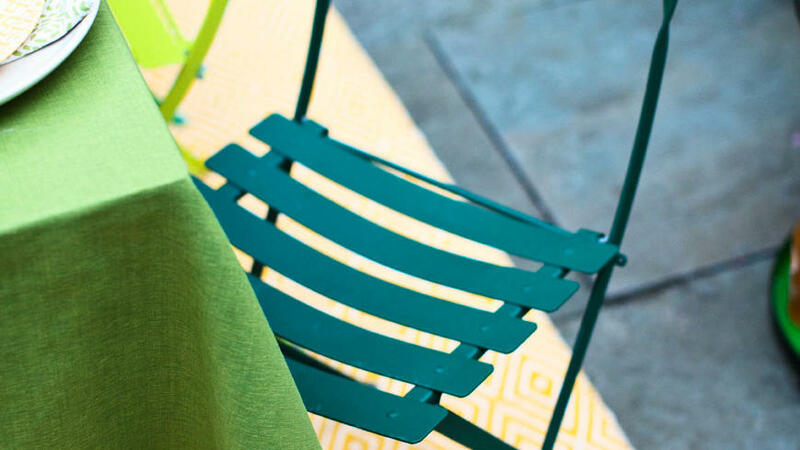 6- by 9-ft.
Folding chairs in fun colors provide flexible extra seating indoors or out. 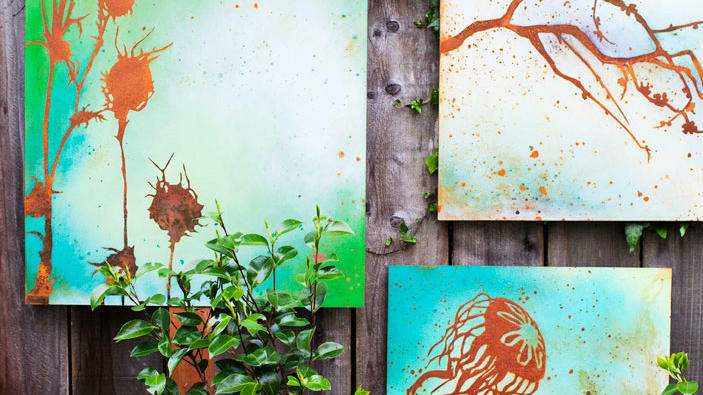 Botanical and marine silhouettes—made with painted steel, strategically rusted and then sealed—add a pop of color to a not-yet-plant-covered fence. Clusters of lights bring warmth to the patio corners. 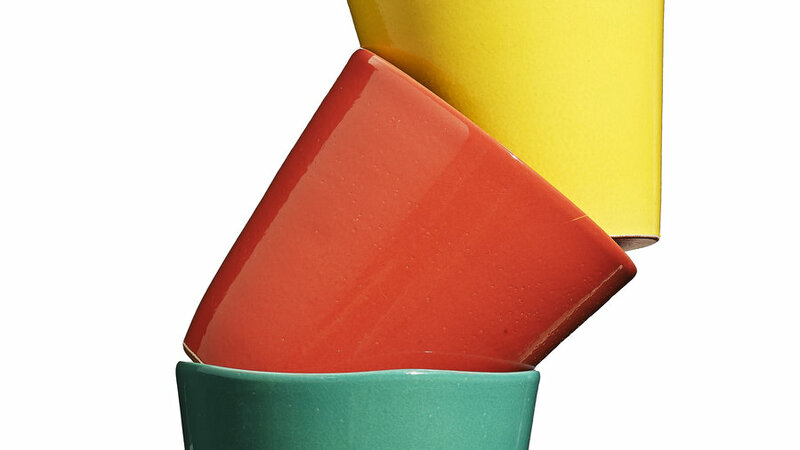 A double-decker iron table, enameled a glossy green, sets off summery drinks. 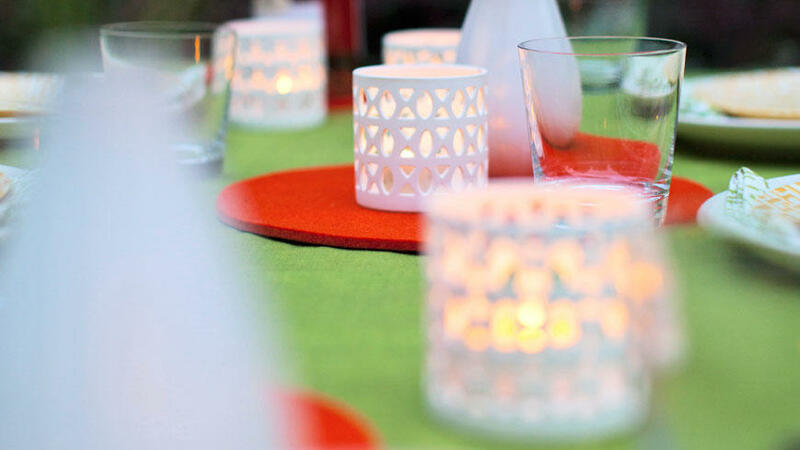 Perforated porcelain candleholders cast a geometric glow over the whole space. 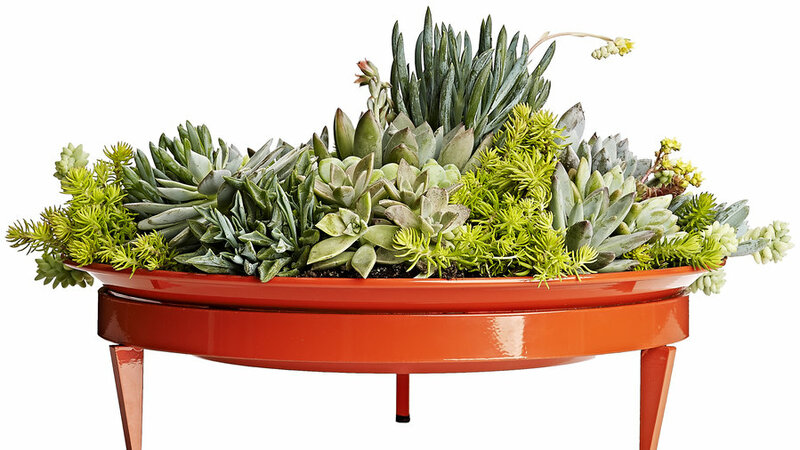 Use this 16-inch-wide dish as a shallow planter or fill it with water for a mini reflecting pool. Either way, the parrot red color makes this a standout feature. 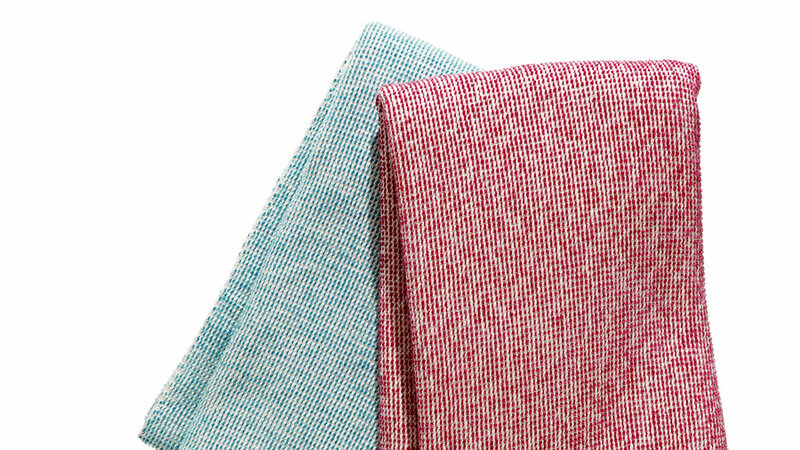 Found, finally: A soft throw that can actually be left outside, thanks to Sunbrella’s performance fibers. 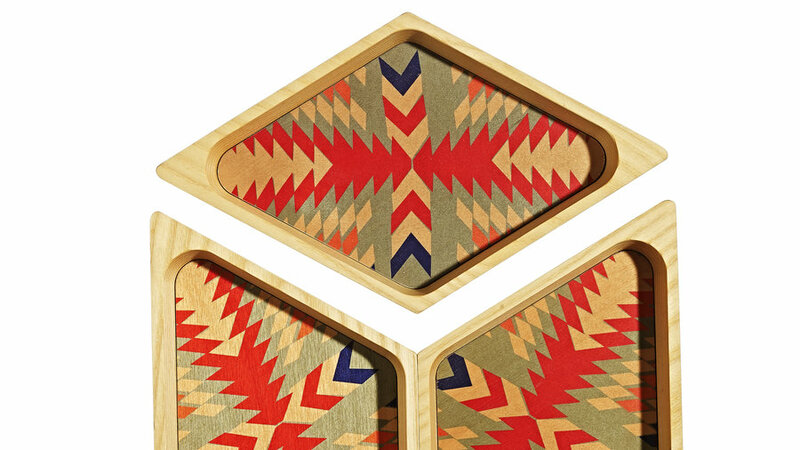 Serve nuts, olives, and other small bites in these solid ash 10- by 11-inch trays. They wipe clean with a sponge. Fill these 7-inch pots with fragrant basil and march a row of them down an outdoor dining table or hang them with wall hooks. 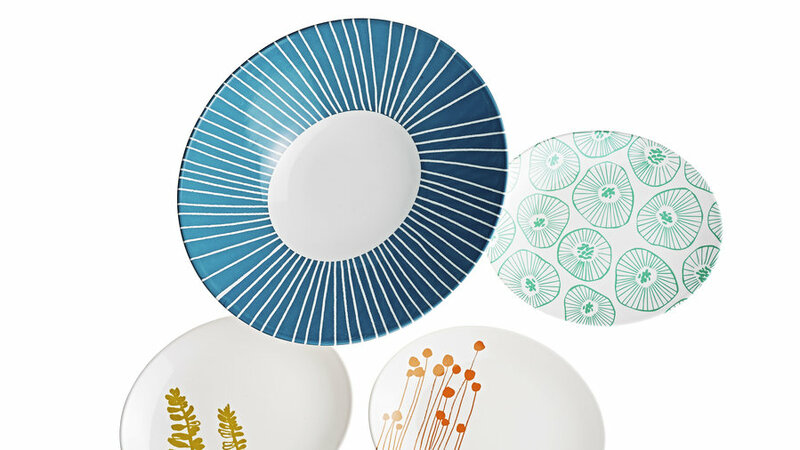 Artist Lotta Jansdotter spreads her Scandi-inspired patterns over a line of outdoor-ready melamine dinnerware.